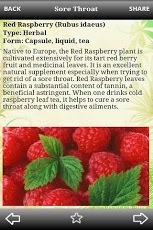 My Natural Healer contains over 1000 natural remedies for common illnesses. Healing – the Natural Way! 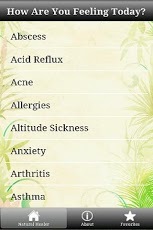 My Natural Healer is the most comprehensive healing app with over 1000 natural remedies from the world of herbalism, homeopathy, nutrition, aromatherapy, hydrotherapy, massage therapy, lifestyle, diet and others. Remedies are organized based on illness for a personalized experience.